Join us at Book Culture on 112th as Jack Wertheimer discusses his new book, The New American Judaism: How Jews Practice Their Religion Today on Thursday, October 11th at 7pm! American Judaism has been buffeted by massive social upheavals in recent decades. Like other religions in this country, it has witnessed a decline in the number of participants over the past forty years, and many who remain active struggle to reconcile their hallowed traditions with new perspectives--from feminism and the LGBTQ movement to "do-it-yourself religion" and personally defined spirituality. 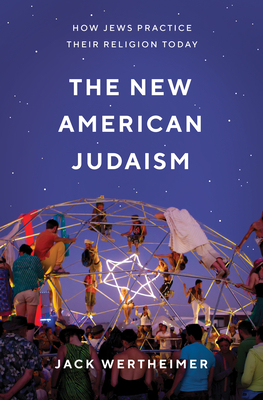 Taking a fresh look at American Judaism today, Jack Wertheimer, a leading authority on the subject, sets out to discover how Jews of various orientations practice their religion in this radically altered landscape. Which observances still resonate and which ones have been given new meaning? What options are available for seekers or those dissatisfied with conventional forms of Judaism? And how are synagogues responding? Jack Wertheimer is professor of American Jewish history at the Jewish Theological Seminary. His many books include The New Jewish Leaders: Transforming American Jewish Life, Family Matters: Jewish Education in an Age of Choice, and A People Divided: Judaism in Contemporary America.